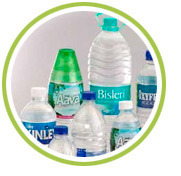 Organic Industries Ltd is a leading polymer processed products and chemical manufacturing company in india Driven by state of the art Production facility having multiple products at multiple locations The Company has been a Customer-Oriented organization ever since its inception in 1997. Experienced promoters with strong track record or running business and a strong brand in the market Strong historical sales growth and product portfolio Marquee clientele and top rated vendor rating Historically able to implement projects without time and cost over runs. The Company is pioneer in manufacturing of premium quality products, which are used in all type of industries for different applications.